US homeowners spend over 1,000 US dollars each year on their electricity bill. It’s no surprise that most residents want to find the best ways to make their home more energy-efficient. The best way to improve your home’s energy efficiency is to install a high-efficiency HVAC system. Giving your home this update can boost its market value and improve its safety and air quality. What is HVAC and how do you know if it’s time to replace your current system? Read on to discover the top ten signs you need a new HVAC system in your home. HVAC stands for Heating, Ventilation, and Air Conditioning. It’s a term used by homeowners and professionals to refer to the systems used for heating and cooling a home. HVAC systems are also used for cleaning and filtering the air inside your home. A good HVAC system will add comfort to a home or building by maintaining the temperature, cleaning the air, and regulating humidity levels. It’s important to take care of your HVAC system to get the most out of its lifespan. You may not know how old your system is or where it ranks under the US energy-efficiency policy. 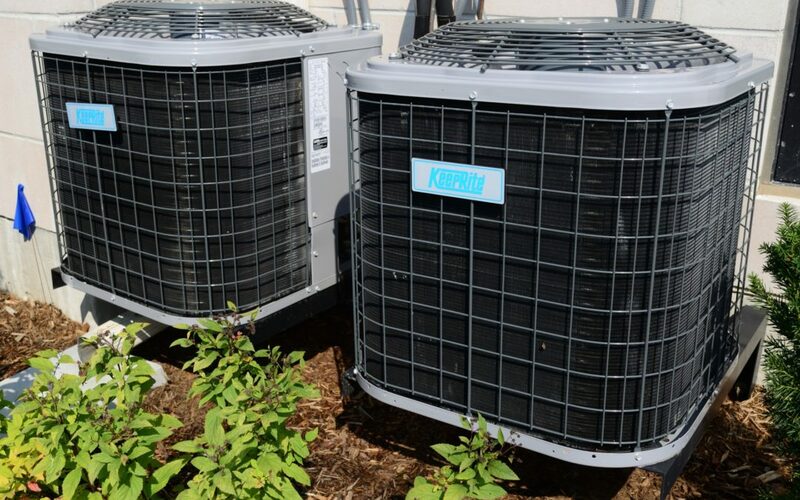 If you’re trying to decide whether it’s time to buy a new system, here are ten signs that your HVAC system needs replacing. The average lifespan for a heating and cooling unit is ten years if it was regularly serviced. Once your system hits the ten-year mark, you can expect to start paying more in repairs and energy bills. This is because your system will have to work harder to do its job. Newer HVAC systems are more energy-efficient than older models. It’s always a good idea to stay updated on the most state-of-the-art technology. Regular maintenance is a normal part of taking care of an HVAC system. When your system gets old though, paying for these constant repairs won’t be worth it. If you realize that you’re calling in a repairman every six months or more, then it’s time to purchase a new system. Over time, your heating and cooling units will have to work harder to do the same amount of work. You may notice that your system starts up more often and runs a lot longer. If this happens, then it’s a good sign that your system needs a replacement. It’s normal for your HVAC system to get louder as it ages. If you notice that the blower is humming louder or the furnace is groaning, then call in a professional. You should also keep an ear out for unusually loud noises when the AC starts up. You should also remember that hearing unusual noises from a new AC unit or furnace may be a sign that it wasn’t properly installed. Talk with your HVAC servicer if you notice any of these signs. It can be a difficult task, but regular HVAC maintenance is essential if you want to extend the life of your unit. When you don’t schedule regular services each year, it can lead to your HVAC system breaking down. You can follow this guide on how to clean an outdoor AC unit or read some furnace maintenance tips to prep for Winter. If it’s been a long time since you had yours serviced, it might be time to replace it and start afresh. Sometimes a band-aid fix will never be enough. When a primary component fails to work, it means it’s time to say goodbye to your current HVAC system. Essential compressors, coils, and motors all need repairs eventually. This can add up quickly and cost you a huge investment that’s better put towards a new HVAC system. With today’s trend of DIY projects, some homeowners choose to install their own units without any professional help. This causes major problems because you end up with a system that is faulty or dangerous. If you suspect this happened in your home, then it’s time to call in a professional HVAC service team to properly install a new system. Sometimes homeowners will try to save a few bucks by installing an AC unit or furnace that’s too small. It might seem like going smaller and cheaper is a good decision, but really it’s paving a road to future problems. A too-small AC unit will struggle to cool down your home when the weather is warm. Likewise, a small furnace will leave you shivering during the winter months. You’ll get the most out of the sale if your home is updated in more ways than one. Having a new HVAC system can boost the value of your home and make putting it on the market a little less stressful. Old HVAC systems that don’t work well can introduce dust, allergens, and mold into your home. They also make the air inside feel more uncomfortable and humid. You may also be exposed to major dangers like carbon monoxide poisoning if your system has major problems. Old furnaces, frayed wires, and bad boilers can all contribute to an unsafe living situation. If this sounds like your system, then it’s time for a new replacement. Checking on the health of your HVAC system is important if you want to ensure the comfort and safety of your home. When your system is too old or can’t function properly, it’s a good idea to install a new HVAC system that is energy-efficient. Follow these top ten signs when you’re wondering if it’s time for a replacement. Are you ready to start shopping? Call our 24-hour HVAC service team to find the best option for your home.